The 2018 Contemporary Music & Performing Arts Season at LG Arts Center features an exciting line-up of 12 productions, ranging from the highly acclaimed international theatrical works to cross-genre performances. 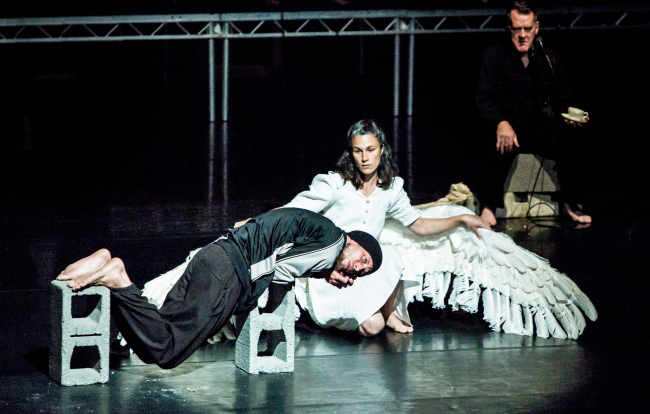 Michael Keegan-Dolan‘s “Swan Lake/Loch na hEala” will perform from March 29 to March 31. 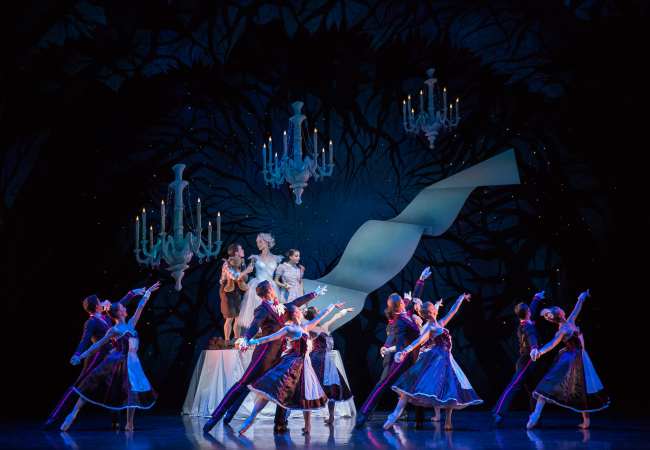 The contemporary reinvention of the Tchaikovsky ballet, “Swan Lake,” by the acclaimed Irish director and choreographer features 13 multifaceted artists, including the famous actor Mikel Murfi, in a fusion of theater, dance, text and live music. The Dublin-based band Slow Moving Cloud will perform live the Irish-Nordic music that replaces the well-known Tchaikovsky score. The 7 Fingers and Theatre Republique will bring their collaborative production “Bosch Dreams,” a contemporary circus that takes the audience on a surreal journey, to the stage from April 6 to 8. The production pays homage to the 15th century Dutch painter Hieronymus Bosch and the surrealist movement the Dutch painter later inspired. Across its 3-D platform of projected videos, acrobatic artists from The 7 Fingers will guide the audience through Bosch’s life and his surreal paintings. “Cirkopolis” by Cirque Eloize is another art circus work being staged at the LG Arts Center. The production is a cross-genre production that blends circus arts, theater and dance to a highly-stylized metropolis setting, inspired by Fritz Lang‘s 1927 classic sci-fi film ”Metropolis.” Eloize‘s “Cirkopolis” tells the story of multidisciplinary artists rebelling against monotony, reinventing themselves and challenging the limits of the modern factory city, through virtuosic acrobatics, music and video projections. The show will run for four days, starting on July 5. “The Far Side of the Moon” by Robert Lepage & Ex Machina will make its comeback May 15 to 19, 15 years after it was staged at the LG Arts Center in 2003. First premiered in 2000 and presented in 45 cities around the world, the theatrical piece tells the story of two estranged brothers and their sibling rivalry, drawing parallels with the US-Soviet space race. “Richard III” by Thomas Ostermeier will also return to Korea. Ostermeier, director Schaubuhne Berlin company, remains faithful to Shakespeare’s original work but also presents its own theatrical thriller through the protagonist‘s proliferation of evil. Lars Eidinger, a cult figure in German theater, takes the role of the 15th century English king. 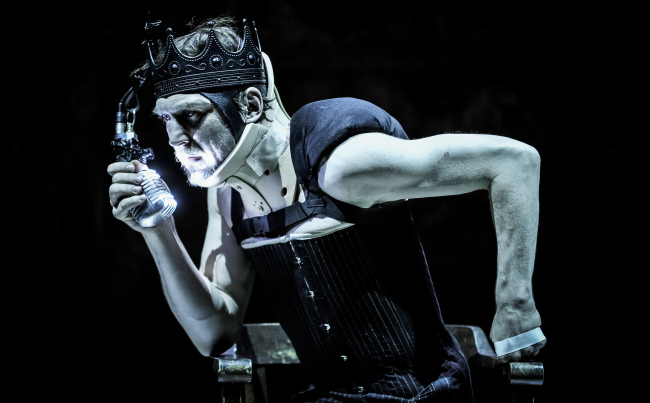 With the actors’ dynamic performance accompanied by the ferocious live drum beats and stark stage -- the visceral production will bring the audience close to Shakespeare’s charismatic psychopath Richard III. “Richard III,“ performed in German with Korean-language subtitles, will be staged June 15 to 17. World-famous sopranos will also make a trip to Korea this year. On April 17, Magdalena Kozena, one of the world‘s top mezzo-sopranos, returns to Seoul with the Italian baroque maestro Andrea Marcon and his baroque ensemble La Cetra Barokorchester after five years. The concert will be held under the theme of “Women on the verge of nervous breakdown,” in which she will be singing the songs of women agonized by the pains and betrayal of love. Soprano Danielle de Niese will perform a hodgepodge of melodies titled ”From Mozart to Broadway,“ with the Lucern Festival Strings on March 15. Titled ”From Mozart to Broadway,“ the program includes Mozart’s arias as well as famous Broadway musical numbers, including “I Feel Pretty” by Leonard Bernstein. Season ticket sales at LG Arts Center begins Thursday.